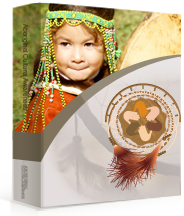 Aboriginal Cultural Awareness for Youth program has been created to help non-Aboriginal children and youth to a better understanding of Aboriginal culture and learn to respect Aboriginal people. To reach this goal, the program will explain how culture affects the way we think and the way we act. It will talk about the history of Canada and how things that happened in the past have created issues and problems for Aboriginal people today. This course is designed for youth with interactive activities for youth to have a better understanding of Aboriginal culture. Ultimately, the goal of Aboriginal Cultural Awareness for Youth is to help non-Aboriginals work with Aboriginals in ways that convey respect for Aboriginal culture and understanding of the issues that are important to Aboriginal people. The course is self paced so course duration will depend on the individual participant and their prior knowledge base with the course subject matter. Each unit of Aboriginal Cultural Awareness for Youth on average will take 45 minutes to 1 hour to complete. In total, it is expected that a participant could complete the course in 4 - 5 hours.